Greg Schmidtberger owner/designer has lived in Kansas City his entire life other than the five years spent at Kansas State University where he graduated with a BS Degree in Architectural Engineering. Greg is a licensed Structural Engineer and worked for 10 years in the Engineering profession prior to forming Deckscapes / DS Construction. His design and engineering background gives him a unique set of skills that benefits the customer by ensuring attention to architectural and structural details. His professional engineering background and dedication to his discipline ensures he brings integrity to every aspect of the job. Lois (Miller) Schmidtberger owner/business manager also grew up in Kansas City and received a BS degree from Kansas State University in Horticulture. Lois worked as a landscape designer/project manager for 13 years prior to joining Deckscapes / DS Construction. Lois joined forces with the company in ’98 as the business grew and needed additional management capacity. Her background in design on residential and large commercial projects along with project management skills allowed her to make the transition and become an immediate asset to keep business and projects running smoothly. We welcome the opportunity to meet and work with you on your project needs. 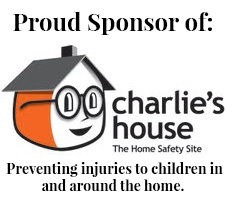 We will exceed your expectations and hope to create a customer and friend for life. Deckscapes, Inc. was started in August 1995 as a two-man custom deck building contractor focusing primarily on outdoor projects. Our company quickly moved to bigger projects including screened porches, basement finishing, room additions, and much more. 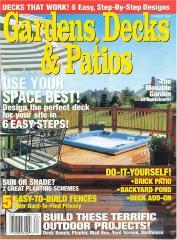 In the summer of 1997, a unique deck project was featured on the cover of “Gardens, Decks and Patios” a national magazine publication. From 1977 thru 2004 the company was featured with 5 more cover photos with the magazine. 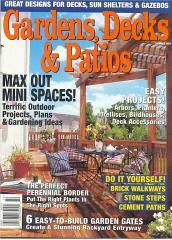 Throughout the years Deckscapes/DS Construction, Inc. has been awarded numerous design/construction awards. Most recently, 2008 thru 2010 our outdoor construction displays in The Kansas City Home & Garden Remodeling Show have awarded us “Best Overall Display”. 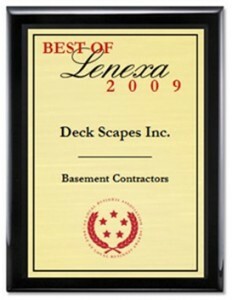 The city of Lenexa, KS awarded us “2009 Best of Lenexa – Basement Contractors”. 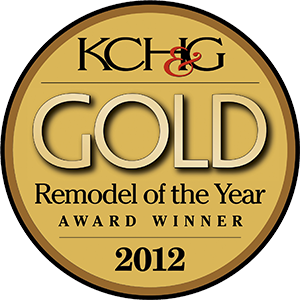 In September of 2012, our company was honored to receive, Kansas City Home & Gardens Magazine “2012 Remodel of The Year – Gold, for Best Kitchen Remodel over $120,000” & “Judges’ Pick” of all Kitchen designs awarded (KCH&G Magazine, Sept. 2012 issue). Deckscapes / DS Construction, Inc. has built an excellent reputation in the industry and continues to grow largely due to referrals from our customers. We pride ourselves on skilled craftsmanship and professionalism, creating your vision and crafting it into reality! 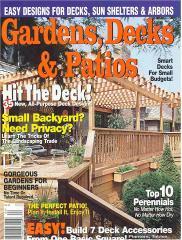 Deckscapes, Inc. was started as a two-man custom deck building contractor focusing primarily on outdoor projects. The company quickly moved to bigger projects including screened porches, basement finishing and small room additions. 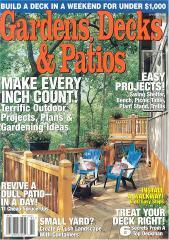 A company project was featured on the cover of “Gardens, Decks and Patios” a national magazine publication. Since then the company has had 5 cover photos with the magazine. The company was contracted for framing construction on its first major commercial project propelling the company into more than just residential backyards! Commercial projects expanded to include Waterslide Theming & Construction. Projects include Hyatt Hills Resort in San Antonio, TX, Beaches Resort in Negril, Jamaica & Okmulgee, OK. Expanded into Home Design & Consultation, completing four Custom Homes and Designed numerous others. Also expanded our services to include Commercial Tenant Finish/ Remodeling, Design & Construction. The ongoing goal of Deckscapes / DS Construction has been to provide our clients with a dedicated staff that cares about the needs of the customer and takes pride in the craftsmanship they bring to a project. We believe the following philosophy is the foundation for the highest level of customer satisfaction and continued success possible! “Our success is largely based on our ability to maintain a good working relationship with our customers and perform above their expectations to gain repeat and referral business”.